Yohoo! It is such a thrill joining this team of talented ladies and working with my favourite brand of papers! Most who know me will know that I have been a SS fan ever since the very first collection, so being on this team is a big hooray for me! Today, I am excited to share my first project as a Simple Stories Creative Team Member today! This same year also marks another milestone for me. I recently got engaged with my boyfriend of 9 years and now embarking on a journey as husband and wife. 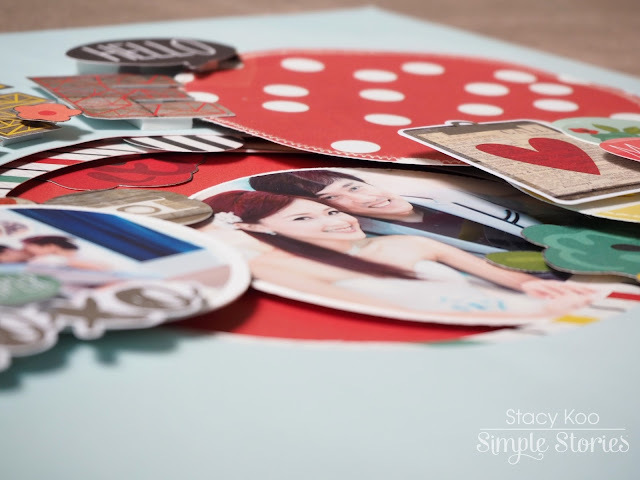 With the traditional wedding coming up in another 4 months’ time, I am kept super busy with the preparations and decorations! We registered our marriage earlier in May 2015. I wanted to document down this set of memories, and in the following layouts, you will be seeing some of the photos taken during the ROM. Life in 2015/2016 is showing me lots of new challenges and milestones completed. 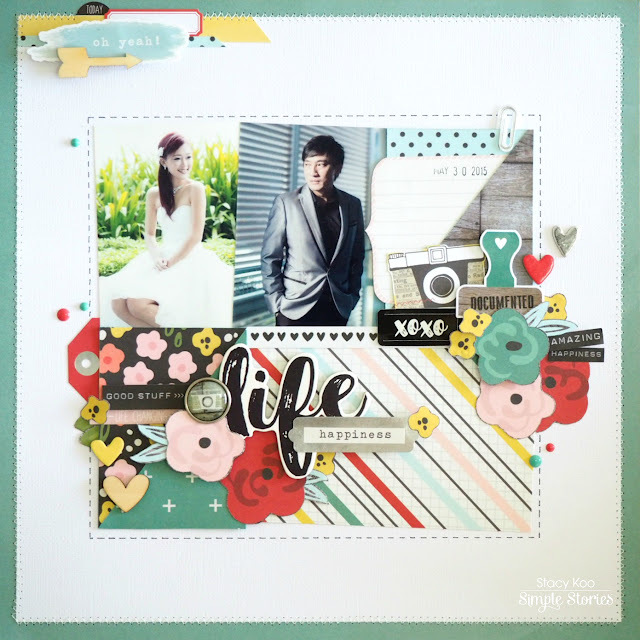 “Life in Color” collection from Simple Stories must really be the answer to my layouts’ needs! I love the vivid colors of the collection very much! 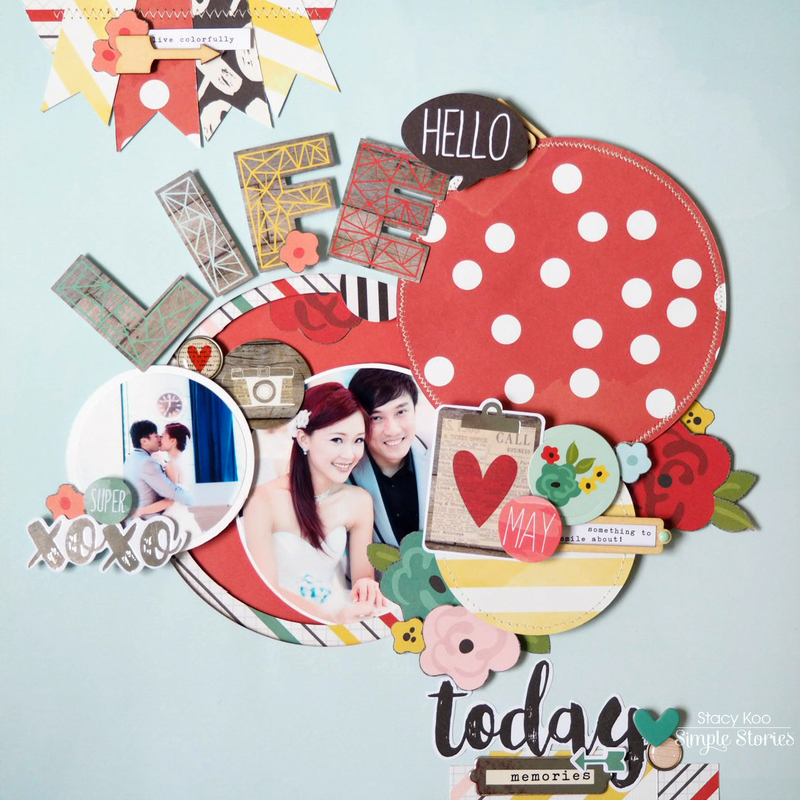 This is my first layout which I have concentrated on circular elements as the main shape of focus here. Started working on the negative space behind the light blue pattern paper, and then decided that I wanted to work with the positive side as well. This page comes up a little more bulky than usual because of all the 3D formations, but it works for me fine. On the positive spaces, I layered the elements with different depths to create more visual effects. 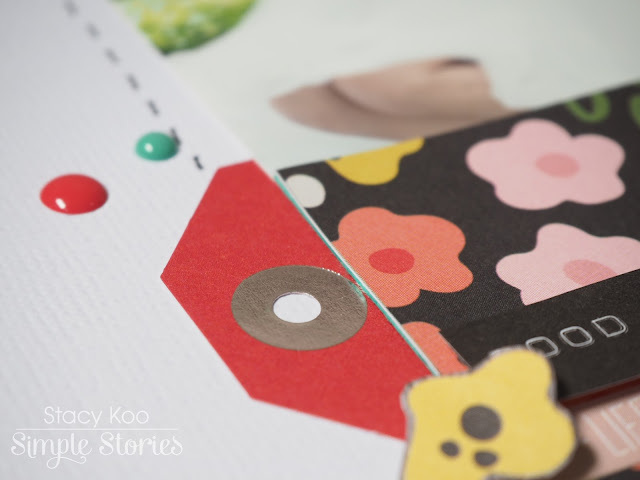 After cutting the circular shape for the pattern paper, I also added sewing details to enhance the shape. 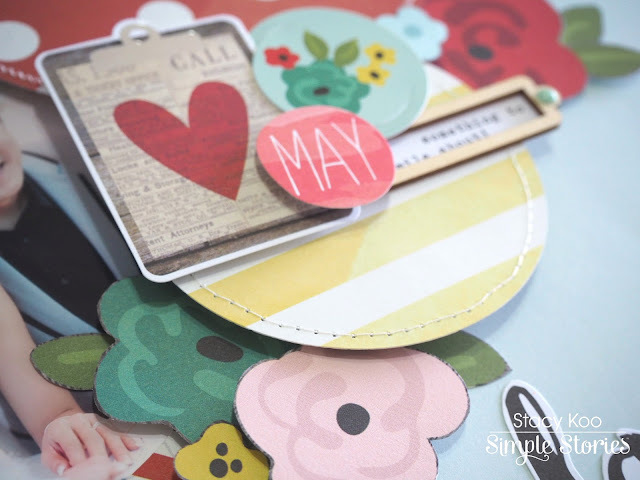 Since this ROM took place in May, I added in the circular month as part of the embellishment detail. I love the “Bits and Pieces” pack in this collection. 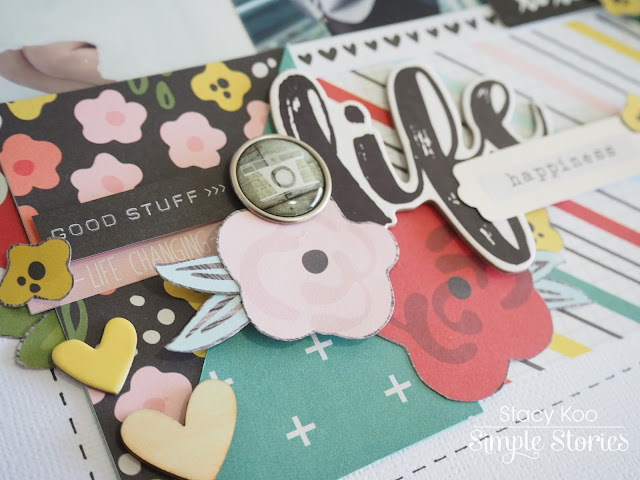 Simple Stories has filled it with so many choices and I am spoiled! See what I meant about the bits and pieces pack? 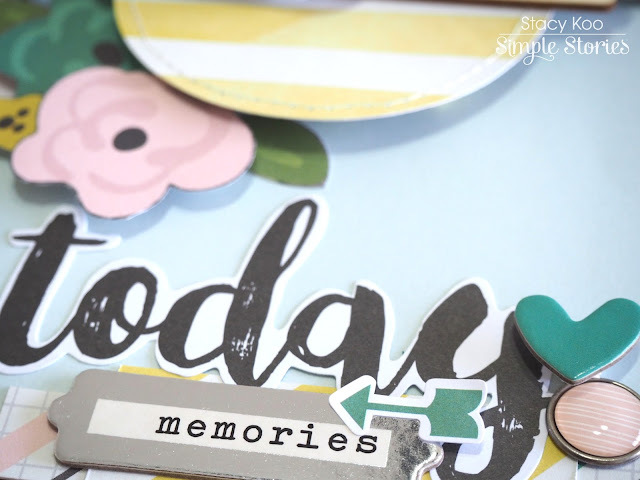 Add the little piece “Today” with the memories tag in the “6x12 Chipboard pieces” and the embellishments start to hook up in amazing coordination! 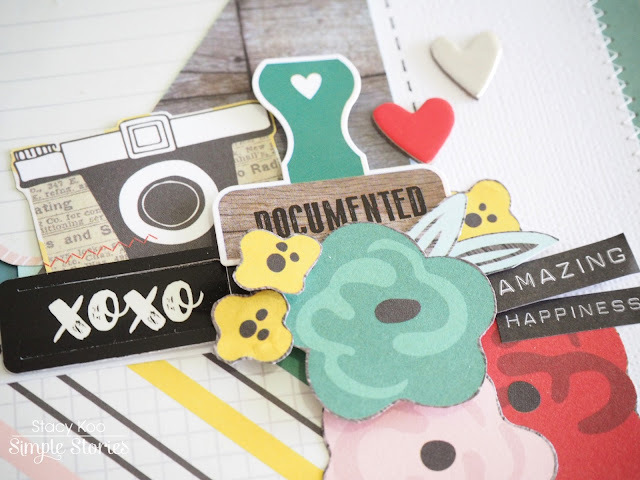 Finally, because the pattern papers are so attractive, I decided to make a little banner strip right at the top corner of the layout, to showcase the vivid colors and complement the rest of the elements. On the second layout, I decided on a cleaner grid page. After printing out all the photos, I noticed that these 2 photos had a significant complement to each other. It seems like my husband and I were looking at each other when the photos were placed side by side to each other. Hence, I decided to use a more grid form to this layout. In addition, I was inspired by “Life in Color – Happy Little Moments” pattern paper. The triangular concept of the paper appealed to me and I started the arrangement of embellishments with the triangular cut in mind. I wanted to create some white space around the photo. Hence, to make it more prominent, I used a black marker pen to doodle some dotted lines to create emphasis on the main layout elements. 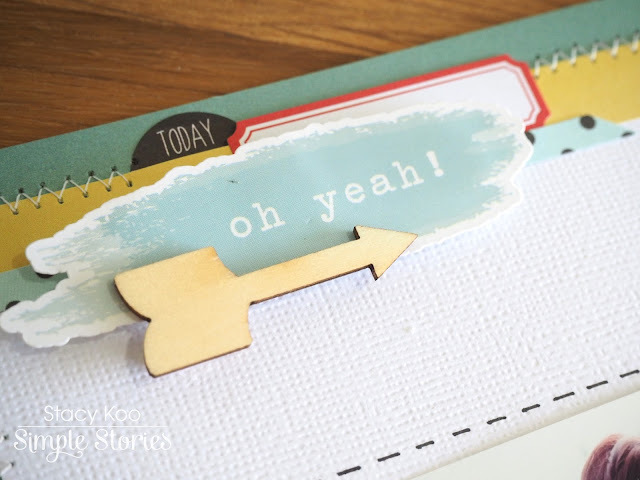 To top things up, I added some enamel dots scattered all around the layout. It helps to fill up the empty spaces yet not cluttering. I love the multiple colors and sizes of enamel dots in the series. 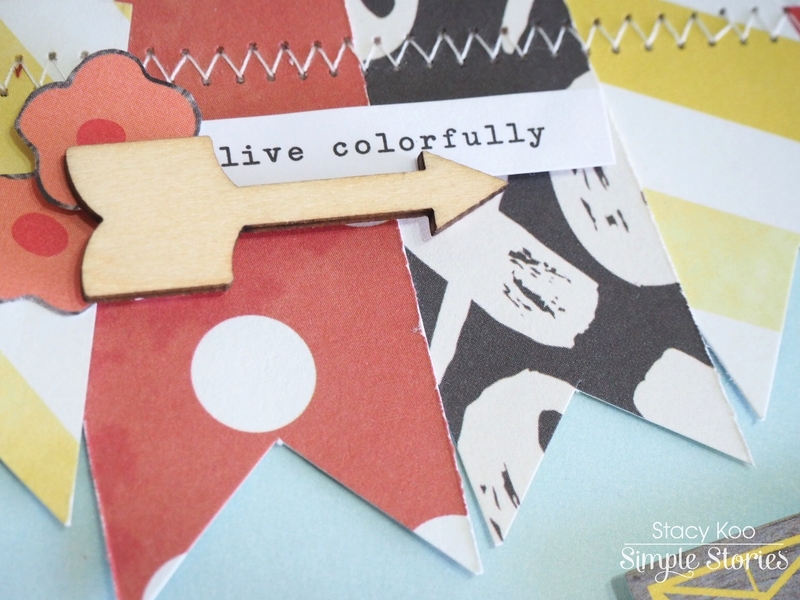 Play along with different colors and sizes to create more (yet simple) attraction to your layout! Visit Simple Stories for more inspirations! I am so much impressed with your creative work. You are very talented. You know I hosted a bridal shower party for my sister. My friend helped me in beautiful DIY crafts for decoration. It was the best baby shower party I have ever arranged. Later on we decorated her wedding venues NYC and everyone loved that too! Check out the latest workshops under the 'Workshop' tab!